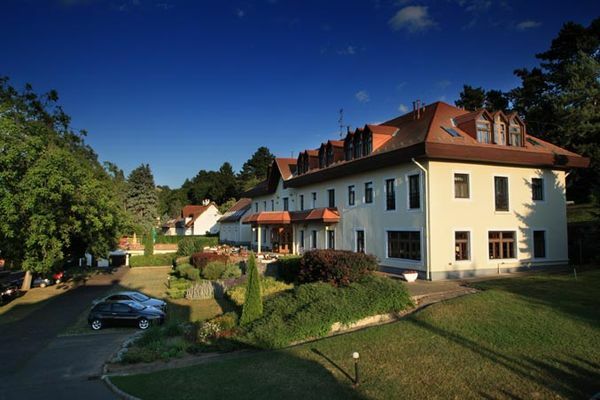 Hotel Panoráma *** - freshly renovated in 2004 and 2005 - is situated in the bay of the Tihany peninsula, facing Balatonfüred, directly on the shore of Lake Balaton. Enjoy our beach, or the secluded 750 sq m Island. The only island on Lake Balaton, with beautiful weeping willow and aspen trees, with breath taking views of the Lake and harbour, for your peaceful enjoyment. A large open fire pit, for those romantic sunset barbecues. Many of our guests say that the island alone is worth the trip. Tihany is considered to be the most beautiful part of Lake Balaton. Hotel Panoráma is located on the edge of town. You can walk to the quaint town of Tihany or to the active liveliness of Balatonfured with lively discos, 1.2 miles away. For the less active a short car ride or the public bus would be the choice of transportation. Either way, staying at the Hotel Panoráma puts you near all the activity, just far away enough to enjoy the peace and quite when it is time to rest. You are also within a half hour car ride to several ancient wineries, castles, fortresses, museums, the inner Lake and many historical sites. The three-storey main building, recently renovated, has 39 double and triple rooms. Television, telephone, mini-bar and safe are provided in each room. Most of the rooms and restaurant offer a magnificent view of the Tihany bay and Balatonfüred. The two-storey Villa, which was built in the 1930's, is also part of the Hotel. These apartments are elegantly furnished and have large terraces looking onto the lake. For the overall and active relaxation of our guests, the Hotel offers additional amenities including infrasauna, solarium, drink bar, darts, table-football, table-tennis and playground. We are located 200 meters from the Balaton Bike Trail that encompasses the entire lake. All this makes Hotel Panoráma a great place to spend your next vacation or a romantic getaway.